The roof trims came off with some gentle persuasion after all the rivets were drilled out. 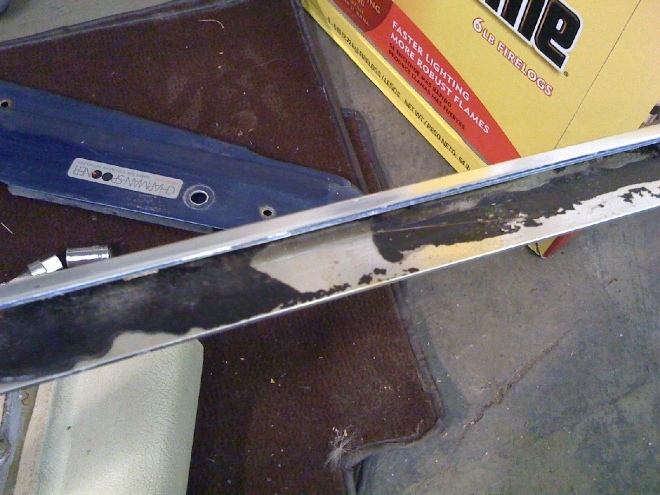 The sealant under the trim has become dried out and brittle over the year. 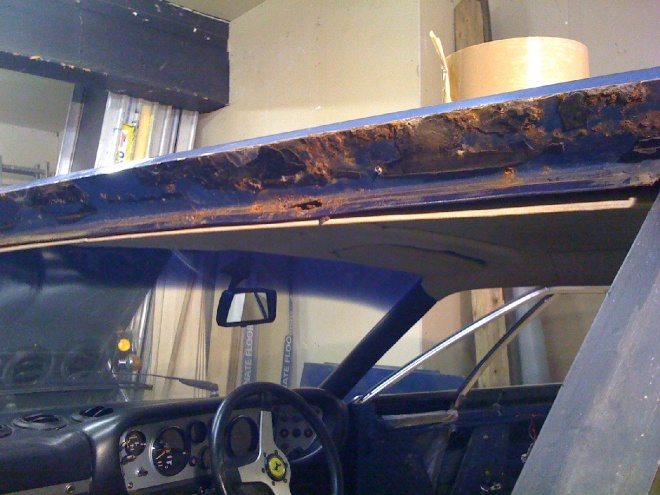 There is quite a lot of rust on the passenger side roof lip but the driver's side is OK.